The following comments about attractions in Langkawi have been posted from individuals. We believe that the best reviews of Langkawi, Malaysia are written by travellers and holiday makers who have experienced Langkawi first hand and want to share their thoughts. Can you share yours? 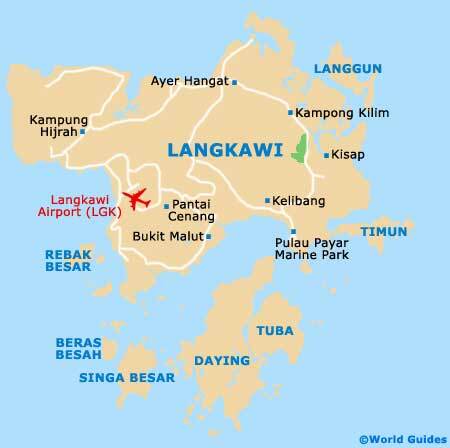 Please help us expand this section of our Langkawi World Guide. Let us know what you think about the attractions in Langkawi, Malaysia. Submit comments about Langkawi attractions here. I was surprised by just how many groups and companies there are offering yoga experiences in Langkawi, regardless of whether interested parties are seasoned pros or absolute beginners. Most of the classes offered take place high in the hills, so you can enjoy great views in complete, relaxed, serenity. Mr Leyland, you might also enjoy the Langkawi Sky Bridge, or maybe your wife would. Terrifying I know, but still a great experience. My only gripe is that it is just under 10 miles from most of the action on Langkawi. I've always had a fear of heights, but I had promised my wife, prior to flying to Malaysia, that we would go on a cable car together. Imagine how much my stomach dropped when I was told that we would be at least 700 metres above sea level! I survived though, and did enjoy it, but the only complaint I would have is that the ride is a little short at just over two kilometres. I'm coming from Brazil where we have many beautiful beaches. I must say though that Tanjung Rhu is just as good as any beach I have seen at home. It was definitely the best in Langkawi anyway! The boat trip I took to the Lake of the Pregnant Maiden is one of the best I've ever been on. Just like Lopburi in Thailand, which we had visited prior to heading down to Malaysia, there are plenty of monkeys on the island that might run off with bags if you don't keep an eye on them! Everything runs like a breeze apart from that though, with the highlight of the island being the lake itself - which is right in the centre.